This Half Square Triangle quilt is made with charm packs and is great for beginners. Charm Packs are accurately cut at 5” square and normally come in packs of 42. 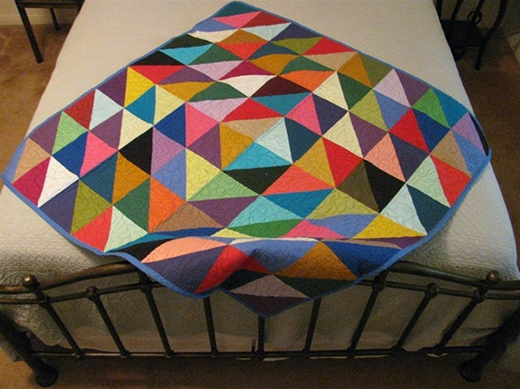 The “half square triangle” is a commonly used unit in quiltmaking and is easily accomplished. Beginning quilters of all ages will gain confidence and achieve success quickly while learning basic lessons on stitching together triangles and squares to create this very graphic design. Example shown is 33” x 33” with 4 1/8” finished blocks.